CONCERT ADDICT CHICK: Too Many Rappers by Beastie Boys Featuring NAS - Official Previously Unreleased Video!!! 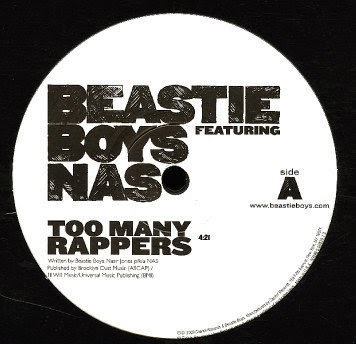 Too Many Rappers by Beastie Boys Featuring NAS - Official Previously Unreleased Video!!! In 2011, Beastie Boys released their final studio album Hot Sauce Committee Part Two. Now, over 3 years later, Beastie Boys fans are in for a real treat. Check out the previously unreleased, Roman Coppola-directed video for the HSCPT track Too Many Rappers featuring NAS! The B-Boys had countless huge names supporting them & Hot Sauce Committee Part Two & for good reason!